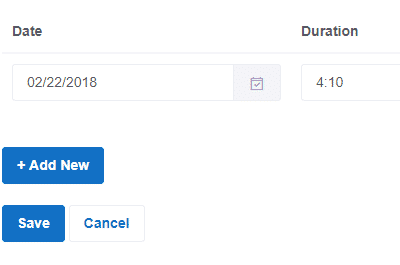 All Time Tracking features are included with all plans. Our facial recognition feature allows employees to punch in and out, or login in and out by just looking into a camera. It can be used on the web or on our smartphone apps. A great way to ensure no buddy punching is occurring! Images will be captured for each punch, allowing you to verify who is working and making it easy for your employees to log their time. Find out more by watching our short video below. 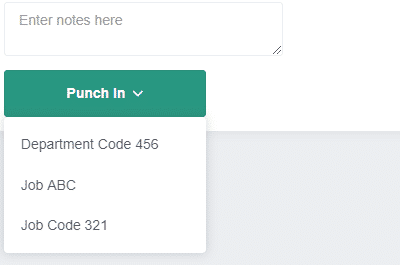 Easily create and assign job codes for your employees to punch in to. If more than one job code is assigned, employees will be presented with a job code list to select from. You’ll see the amount of time spent on each job code reflected on your employees time card and in your reports. If you have multiple offices or job sites, locations are a great way to track where an employee is spending their workday. 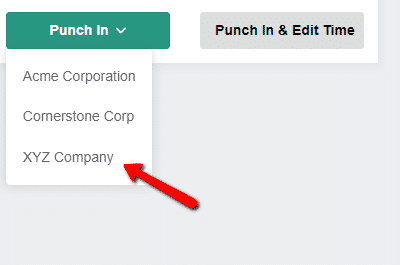 Create your locations, assign them to employees, and when employees go to punch in they’ll select their location. The amount of time spent at each location will be reflected on your employees time card and in your reports. Looking to delegate? 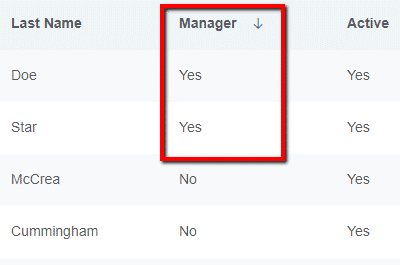 Quickly and easily upgrade an Employee to Manager status so they can manage time cards of employees assigned to them. Managers are given either View or Approval status depending on what you’d like them to do. 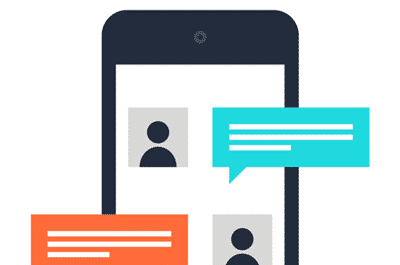 Buddy Punch has built in notifications for Administrators, Managers, and Employees. If employees request a time change or if they get punched out automatically, we’ll let you know via email. Employees can be alerted when time cards or PTO is approved and more. Choose from more than a dozen Overtime Types available to ensure your OT Calculations are done correctly. 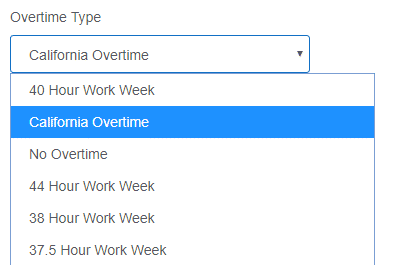 These Overtime Types include 40 hour Work Weeks, California Overtime, No Overtime, 44 Hour Work Weeks, and 38 Hour Work Weeks. Custom rules can be created as needed. 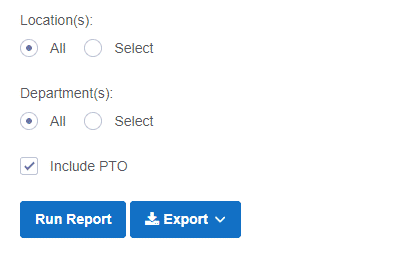 Administrators and Manager’s can add PTO for their employees or they can allow their employees to enter PTO on their time card. 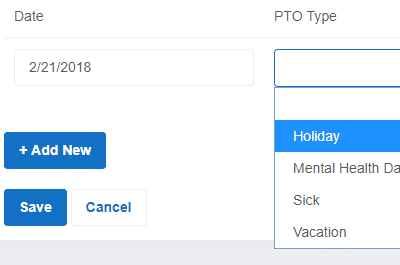 You have the flexibility to approve PTO as employees request it or you can allow them to add PTO/Sick/Vacation time without needing any approval. We provide several different customizable reports to meet the needs of your business. We have many different exportable formats including the more commonly used Excel and PDF export. Just export the report of your choice and take it to your payroll provider! Our webcam feature allows you to automatically capture a picture of an employee when they punch in or out. 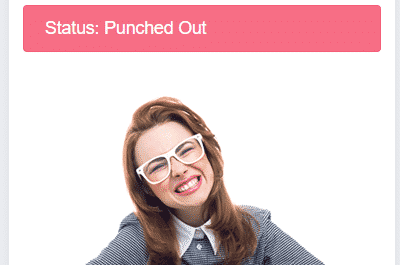 You can easily view the image directly from the employees time card to ensure there is no buddy punching occurring. We have apps for both Android and iOS devices to help your employees on the road or out in the field track their time. We also have a desktop app to make the punching process even easier. You have the flexibility to decide whether or not you want to take advantage of our apps. If you want to accurately account for your employees breaks, our automatic breaks feature can achieve that. 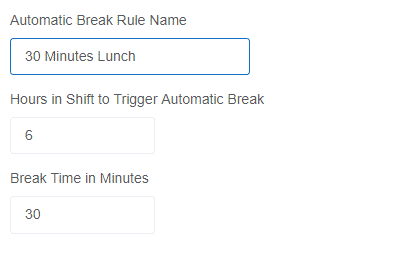 Just specify how many hours your employees need to work before the rule triggers and how long their break should be. Our system will automatically deduct that time from the employees time card. We have several different single sign on options to meet the needs of your business. 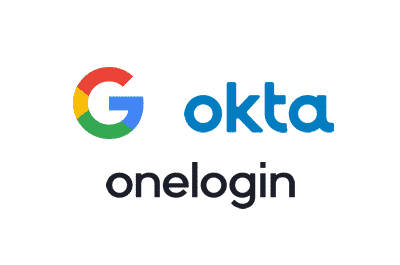 Our single sign on options include Google, Okta and OneLogin. Each option available makes signing in and out a breeze! Want to ensure your employees are punching in and out at the correct location? 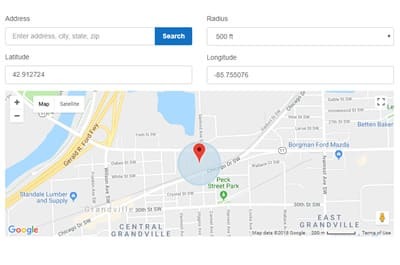 Our GPS feature allows you to collect GPS data on the employees you choose by making the feature either optional or required. If set to required, your employees cannot punch in unless they share their GPS location. Stop employees from punching in and out unless they’re on an authorized IP Address with our IP Address Locks feature. 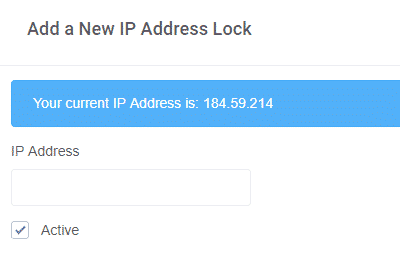 You can create as many IP Address Locks as you’d like and if an employee is not assigned to one, they can punch in and out from any IP Address. 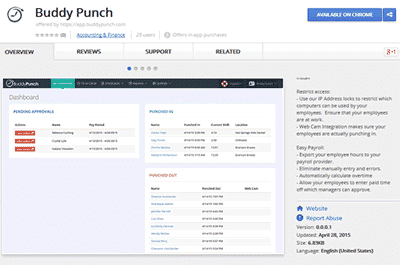 Being that Buddy Punch is web based, it can be accessed from any device with a browser including a smartphone or tablet. The only thing required is an internet connection. Our app can also be used with most mobile devices and tablets – giving you and your employees plenty of login options. 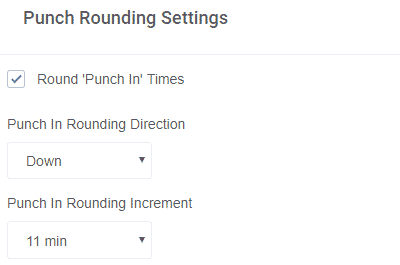 By using the punch rounding feature, you can set up rules where punches are automatically rounded up, down, or to the nearest based on the minute increment you select. Increments range from 2 minutes to 30 minutes – plenty of options to meet your businesses needs. Our QR Codes feature allows your employees to scan a QR Code via the webcam on their computer, tablet, or smartphone. Once the QR Code is scanned, our system will automatically punch an employee in/out or log them in while taking their picture in the process. 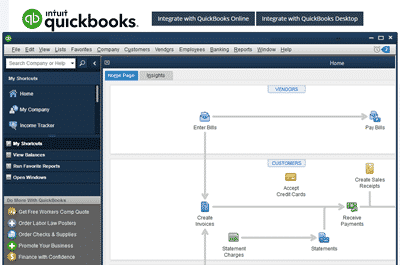 The QuickBooks Online integration features allows you to seamlessly sync employee information and time on demand. All you need is a QuickBooks Online Plus account and to do a little initial setup and you’re good to go! 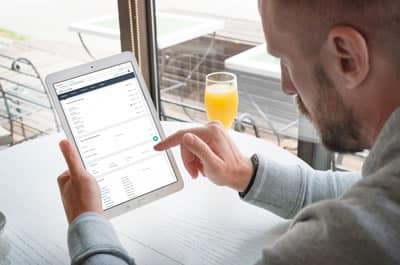 Our QuickBooks Desktop integration allows you to quickly connect QuickBooks Desktop with your Buddy Punch account. You are able to sync employees and time on demand. A very easy process that requires little setup! 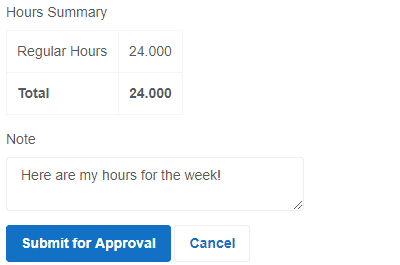 Our Time Card Approvals feature allows your employees to submit their time cards to their Manager or Administrator for approval. 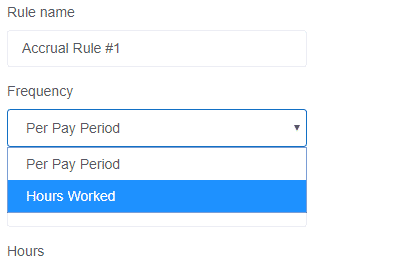 A great way to ensure time cards are accurate before sending to payroll. The PTO Accruals feature allows you to manually add in accrual amounts for employees or automatically have it accrue. Employees can view their totals and availability. PTO Accruals are highly customizable to meet the needs of your business. Our text to punch feature allows employees that do not have a data connection to send a text message to punch in or out. A great way to ensure your employees never miss a punch. Our job costing features allows you to create jobs, companies, or any type of label for your employees to punch in and out of it. Time spent at each job will be reflected on the employees time card and on our exportable reports. The overtime alerts feature allows you setup daily and weekly alerts when your employees hit certain thresholds. Want to receive an alert when 8 hours in a day and 38.5 hours in a week have been worked? We can do that! 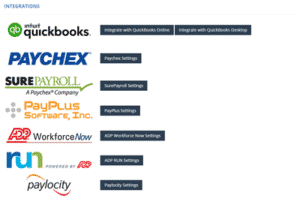 Integrations make your life easier, so we have partnered up with several providers including QuickBooks, Paychex, and SurePayroll to help make your experience with Buddy Punch even more seamless. Don’t see yours on the list? Let us know! Have salaried employees? 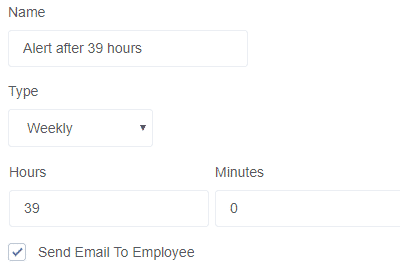 Our duration entry feature allows your employees to enter a time duration per day rather than punching in and out. Or they can do both (punching and duration). Setup the feature on a per employee basis. 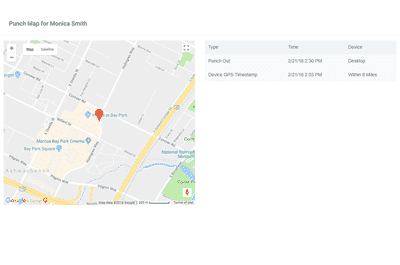 Our geofence feature allows you to create areas that employees are required to punch in and out from. Employees can be assigned multiple areas, all with unique job codes. If outside a geofence, an employee will not be able to punch in or out. 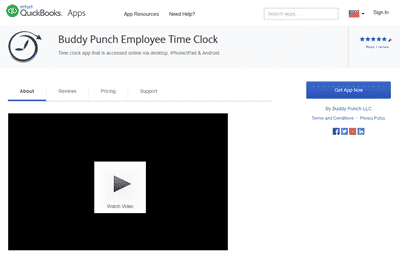 Buddy Punch is a simple yet very powerful time clock software that you and your employees can access from any device with an internet connection. Whether that be by tablet, mobile device, or computer we have got you covered! Our time clock software offers a vast set of features and functionalities that many other time clocks don’t have including Overtime Alerts, PTO, IP Address Locks and more advanced features such as Facial Recognition and GPS/Geofences.